It's the third week of the new year. Are you staying consistent with your goals? Do you need a little motivation? Of course, you do! These cold mornings don't make it easy. We all need help in getting motivated. This year Big Peach Running Co. will celebrate 15 years serving the Atlanta running community and we're going to find ways to give back. If giving back is part of your goals this year, we'll have some unique opportunities for you to get involved. Check out the various social runs and informational sessions we have that are geared towards runners of all abilities. We're going to provide you with great information to help you this year. Take the RUNATL podcast with you during your run or workout and become inspired by individuals like Bart Yasso in the latest episode. Don't forget, you can always come into any of our stores for a more personalized approach and we'll answer all your questions. 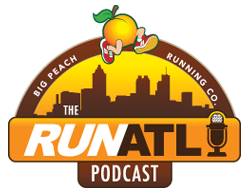 Catch up on the latest episode of the RUNATL Podcast with our friend, former Runner's World Chief Running Officer, Bart Yasso! If you're looking for a great place to work, love being active, enjoy working with others and having fun, then Big Peach Running Co. is the place for you! Our Alpharetta, Brookhaven, Decatur, Kennesaw, Midtown, & Suwanee locations are looking for outgoing & enthusiastic Peaches to represent everything that is great about living a “pedestrian-active lifestyle". Must be available to work weekends. Take a look at our online application and send us your resume. Let Your 2019 Sparkle Shine Through! Want to challenge yourself? Want to join a supportive and encouraging community? Need some accountability? Sparkle Wellness is here for you! You're invited to this informational session to learn more about Sparkle Wellness and their new 5K challenge. Make 2019 your year to sparkle! Sign up here. Nutrition is critical to make your run efficient and optimal. In this session, we look at foods that can help you maximize your run while helping to burn fat. Secure a spot today! RSVP here. Nutritionist Maria Hock will be back on site offering free nutrition consulting for weight loss performance. If you want to get aggressive about your nutrition, fitness, & weight loss, Maria will be here to help. Appointments are required for a 20-consultation. Only 6 appointments are available. Sign up here. Our friends from Ragnar will be stopping by to talk about the Ragnar Trail - Atlanta event and answer any question regarding the race, what gear you need, and the fun you can expect! 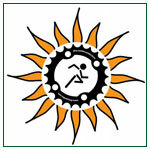 There’s still time to register for the April Ragnar race at the Georgia International Horse Park. Use the code BPRC19 for $80 off team registration. RSVP here. What’s better than starting the new year with a trail run in a Hoka shoe? Join our Marietta team and our friend Cassy, from Hoka. We'll have demo pairs of the Hoka Torrent. This is the perfect opportunity to not only try out a great trail shoe but also a perfect opportunity if you've never been trail running! Remember to bring $5 for parking. RSVP here! Did someone say "CHOCOLATE!"? Join us for the January 29th group run at our Decatur store and stick around for information about the upcoming Atlanta Hot Chocolate 15K & 5K in February. One FREE race entry will be raffled off, and steaming apple cider will be available to all group runners. RSVP here. Join us for a fun Ragnar night run! We will have some reflective giveaways for all, a couple awesome raffle prizes from Nathan, PLUS a discount to any @ragnarrelay event! RSVP here. After the run cool down and relax with a yoga session by Empower Yoga, Hydration/Nutrition & Trail 101 Clinics. Big Peach On Wheels will also be on site for your convenience. We'll also have some raffles and giveaways for participants! RSVP here. Please read the dress code requirements when you sign up. We'll make accommodations for you as well. Sign up for the 20 available spots here!